Airbnb, which lists more 45,000 Florida properties on its vacation rentals website, has lobbied hard to remove its “home-sharing” offerings from hotel/motel regulations and unshackle the state’s $31 billion short-term rental industry from local regulations. Several bills, including last year’s Vacation Rental Act, gained momentum during the last two legislative sessions before falling short. If Airbnb is to have any hope in 2019 of achieving its legislative goals in Florida, however, it must first deal with a new problem—the wrath of its new governor. Gov. Ron DeSantis declared state of Florida employees will no longer be reimbursed for Airbnb stays while traveling and said further sanctions will be imposed if Airbnb doesn’t reverse its November decision to delist properties in the Israeli-occupied West Bank. DeSantis said Airbnb’s actions violate Florida law—House Bill 545, adopted last year—which imposes penalties, including divestment, on companies involved in the “Boycott, Divestment, Sanctions (BDS) movement” against Israel. DeSantis issued his comments during a press conference at the Jewish Federation of South Palm Beach County in Boca Raton. He said the State Board of Administration will determine if Airbnb’s West Bank policy warrants further sanctions from the state. The board—comprised of DeSantis, Attorney General Ashley Moody, and Chief Financial Officer Jimmy Patronis—oversees investments of the state’s pension program. 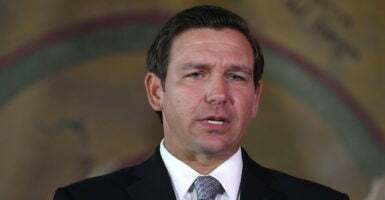 DeSantis also instructed Moody to determine if the policy violates the civil rights of any Floridian Jews who own property in the West Bank. Airbnb responded in a statement that it “unequivocally rejected” the “BDS movement” against Israel and that it has “worked with the Florida State Board of Administration on this matter” and will continue to do so. Its decision to delist about 200 properties in “the settlements in the West Bank” is not unique to Israel, the company said. “Airbnb has previously prevented hosts from accepting reservations in other lands with unique dynamics, including Crimea—where the decision impacted more than 4,000 listings,” according to the statement. Earlier Tuesday, Airbnb reported short-term rentals offered through its digital platform drew 4.5 million guests to Florida and generated more than $810 million in rental income for hosts in 2018. The company will release how much it will pay in state and local bed taxes in February. Last year, it remitted $33 million to the state and $12.7 million to counties it has tax collection contracts with, including $3.3 million to Miami-Dade, $1.9 million to Broward, $1.9 million to Pinellas, and $1.8 million to Orange counties. Ten Florida counties saw at least 100,000 Airbnb guests and at least $22 million in Airbnb rental revenues in 2018, according to the company’s report. The Vacation Rental Act—Senate Bill 1400 and House Bill 773—proposed removing short-term vacation rentals from hotel and motel regulations, and establishing a uniform inspection program conducted by the state’s Department of Business and Professional Regulation (DBPR). SB 1400 passed the Senate Regulated Industries Committee, but never made it out the chamber’s appropriations and community affairs committees for a floor vote. HB 773 also never made it out of committee. Similar 2017 bills shared the same fates. 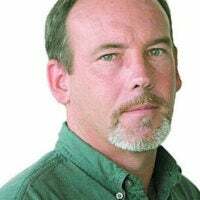 As of Tuesday, a 2019 iteration of the Vacation Rental Act had not been filed.